One of the biggest mistakes companies or organizations make when they decide to take on an integrated campaign is adding too much breadth and not enough depth. By this I mean launching a Facebook page, Twitter account, Flickr page, blog, etc. without generating enough content and infrastructure to maintain each effectively. In doing so, you loose readers interest, fail to create a sense of engagement and prohibit consumers from taking your desired action (purchase a product, support a cause, join a group, etc.). Today is World AIDS Day. 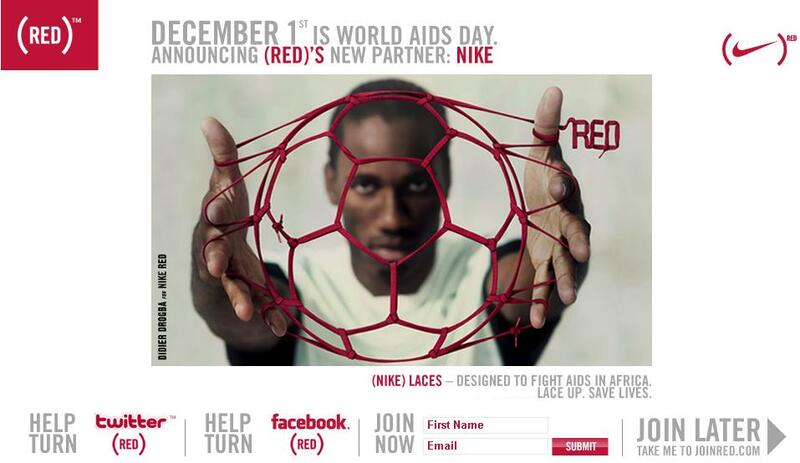 To kick-off the international day of awareness, (RED) announced its newest corporate sponsor: NIKE. And they did it right. 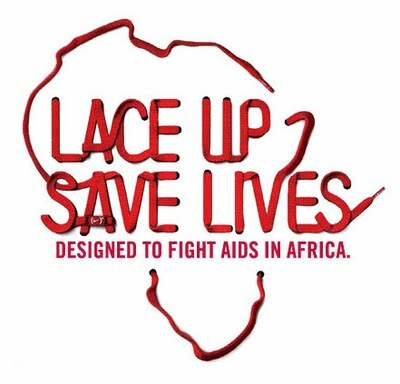 NIKE has created a line of (RED) shoelaces and all proceeds will go towards fighting AIDS in Africa. Backed by Bono and top-notch football players (Note to my fellow Americans: soccer) Joe Cole (Chelsea), Andrei Arshavin (Arsenal), Marco Materazzi (Inter Milan), Denilson (Arsenal), Lucas Neill (Everton), the campaign was “kicked” off at a London NIKETOWN location—though the true strength lies within the digital components. The integrated social media campaign tackled the internet this morning. From the (RED) Blog posting a detailed summary of the account, to the complete takeover of Twitter, turning the more familiar blue homepage to red (and turning all tweets including @JoinRED actually red, which is awesome), the campaign cast a wide net. The Facebook, Flickr and YouTube components feature a wealth of information and a call to action to consumers. Messaging remains aligned across all existing NIKE and (RED) online platforms, with each component linking to the additional features to ensure that each consumer is aware of the complete endeavor, encouraging them to remain engaged and pass the information along. I encourage you all to check out the JoinRED webpage and explore the supporting social media platforms. Not only will you help benefit this important cause, but you’ll have a great case study about a digital communication campaign that did it right.